Write-up in The New York Times! 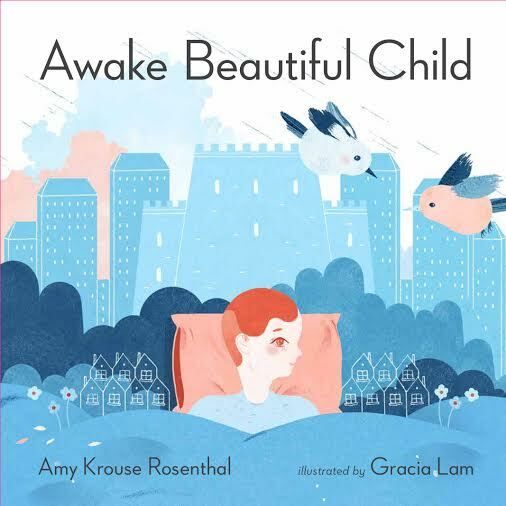 "This interactive book may seem to be on your side, reluctant sleeper -- but it's truly a bedtime book in disguise! 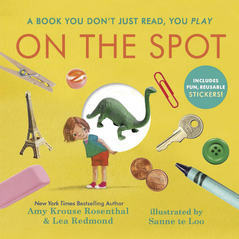 New from New York Times bestselling author and illustrator Amy Krouse Rosenthal and David Roberts! "We read of Uni and of the little girl he believed in and how they willed their way to be together for real. We read of how their belief in each other brought sunshine and rainbows and magic back into the The Land of the Unicorns, uplifting all hearts. And our hearts were uplifted. Sunshine returned. A rainbow formed in the store and magic was restored to our shelves. 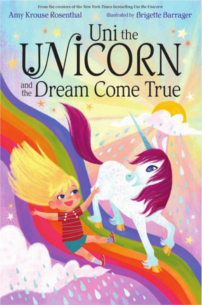 Uni the Unicorn and the Dream Come True was an Animus book, that much was clear. It was a living thing that made the world around it embody its story." Read the full review here. 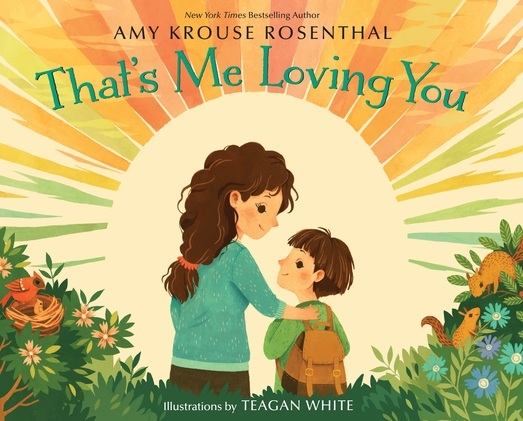 "With warmth and charm, Rosenthal takes a creative approach to conveying a comforting parental presence, whether the child is near or far... White’s sweet, colorful artwork evokes a classic Golden Books style and depicts diverse kids and their experiences in mainly outdoor settings. From lighthearted to reassuring, these scenes remind kids that, even when they are on their own, their adults’ love is ever-present. 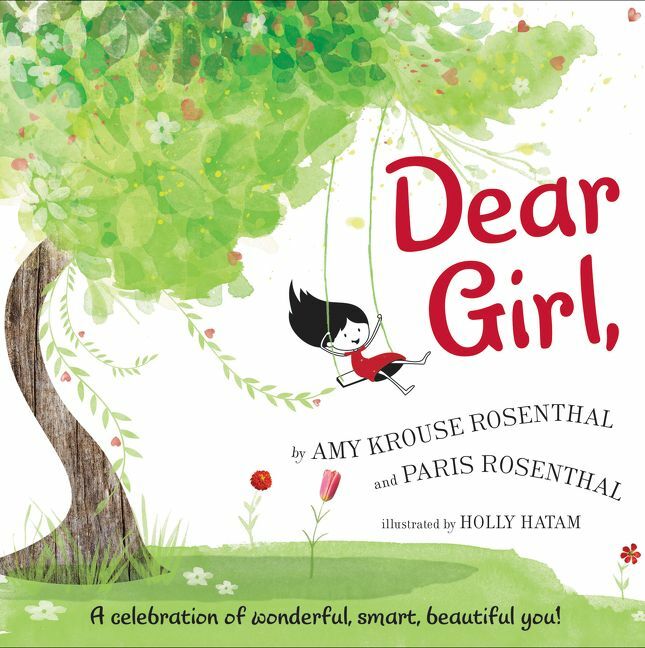 Best-selling Rosenthal is a picture book powerhouse, and her fans will be eager to get in on this one, too." 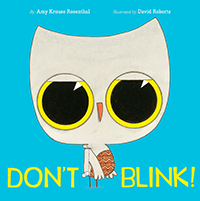 The ABA Kids’ Indie Next List ranks it #5! The puns fly far afield in this silly, uplifting testament of affection. A perfect gift book for adults and a heartfelt picture book for children, it's just right for anyone who's moo-ved to express their love. 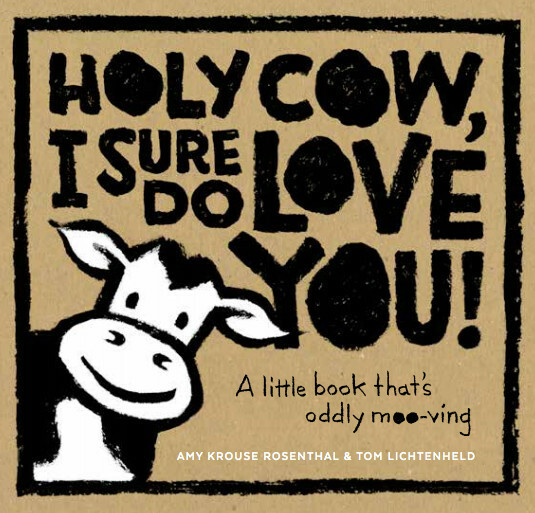 "Moo-ooh baby, I sure do love you" is the opening line, narrated by a spotted cow drawn in simple, emotive brushstrokes. "I love you every which way . . . good moo-d, bad moo-d, weepy moo-d, weird moo-d," the cow continues in a string of bovine puns: "I also love pizza, but that's a moo-t point." Drawn primarily in black and white on brown craft paper, the illustrations are simple and appealing to all types of readers and all kinds of relationships. A line of greeting cards and memo books will also be available. Preview them here. "Billed as “a book you don’t just read, you play,” this is cleverly designed to inspire children to create a rebus with reusable stickers or three-dimensional objects. Each fully illustrated double-page spread features text with a white spot (sometimes two) located within it. Participants are prompted to fill in the spot to complete the story. For example, the text reads, “When I woke up this morning, what did I see? A sweet little . . . [spot] chirping at me.” A sticker or item can be placed in the spot—readers are free to choose the most logical option or something funkier. The action follows a young girl as she plants some (spots), goes to the park to climb the (spot), returns home for a dinner of spaghetti with (spot), and so forth. The rhyming text, though sometimes goofy, is an effective prompt, and though the reusable stickers were not included for review, the conventional illustrations in soft pastels show a pleasant community with Victorian houses and lots of open space. Enjoyable for all ages. HIGH-DEMAND BACKSTORY: Rosenthal is a reliable best-seller, and this interactive picture book will have wide appeal."